Pele van Anholt was born	in 1991. Denissen played in the 2008-09 season for Cyprus second division club Ayia Napa. He moved in June 2009 to the Finnish giants FC Haka. After a few weeks and matches, Denissen returned home signing a 1-year contract at FC Emmen. The club used the option to extend his contract in March 2010. Denissen was under contract until June 2011 and was available on a free transfer. He returned to his former club Willem II to keep up his fitness at the Willem II reserves on an amateur contract at the end of August 2011. In January 2012 Hans Denissen moved abroad. 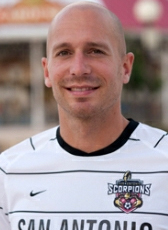 This time his destination was the USA where he signed a 2-year contract at new NASL club San Antonio Scorpions. The club will start playing its matches in April 2012. In January 2014, New York Cosmos announced the signing of Denissen for their 2014 campaign. After his release from New York Cosmos, Denissen signed with Atlanta Silverbacks in February 2015 for the 2015 season. He was released in January 2016.